Distribution of hemoglobin A1c (HbA1c) values over time in the DCCT/EDIC cohort, with intensive and conventional treatment groups shown separately (A), and the EDC cohort (B). The plot summarizes the distribution of HbA1c by study period as box plots (showing the 25th to 75th percentiles) superimposed on vertical density histograms (“violin” plots). The median of the distribution is indicated by a horizontal line and the mean by “0.” The P values on the x-axis compare the DCCT intensive and conventional treatment groups. DCCT/EDIC indicates Diabetes Control and Complications Trial/Epidemiology of Diabetes Interventions and Complications (DCCT 1983-1993 and EDIC 1994-2005); EDC, Pittsburgh Epidemiology of Diabetes Complications (1986-2006). To convert HbA1c to proportion of 1, multiply by 0.01. Estimated cumulative incidences of proliferative retinopathy or worse (A), nephropathy (B), and cardiovascular disease (C) over time. Nephropathy was defined as an albumin excretion rate of 300 mg/24 h or higher, a serum creatinine level of 2 mg/dL or higher, or dialysis or renal transplant. Cardiovascular disease was defined as described in the “Clinical Outcomes” subsection of the “Methods” section. DCCT/EDIC indicates Diabetes Control and Complications Trial/Epidemiology of Diabetes Interventions and Complications; EDC, Pittsburgh Epidemiology of Diabetes Complications. Background Clinical treatment goals of type 1 diabetes mellitus (T1DM) have changed since the Diabetes Control and Complications Trial (DCCT) demonstrated reduced long-term complications with intensive diabetes therapy. There have been few longitudinal studies to describe the clinical course of T1DM in the age of intensive therapy. Our objective was to describe the current-day clinical course of T1DM. Methods An analysis of the cumulative incidence of long-term complications was performed. The DCCT (1983-1993) assigned patients to conventional or intensive therapy. Since 1993, the DCCT has been observational, and intensive therapy was recommended for all patients. The Pittsburgh Epidemiology of Diabetes Complications (EDC) study is an observational study of patients with T1DM from Allegheny County, Pennsylvania. The study population comprised the DCCT T1DM cohort (N = 1441) and a subset of the EDC cohort (n = 161) selected to match DCCT entry criteria. In the DCCT, intensive therapy aimed for a near-normal glycemic level with 3 or more daily insulin injections or an insulin pump. Conventional therapy, with 1 to 2 daily insulin injections, was not designed to achieve specific glycemic targets. Main outcome measures included the incidences of proliferative retinopathy, nephropathy (albumin excretion rate >300 mg/24 h, creatinine level ≥2 mg/dL [to convert to micromoles per liter, multiply by 88.4], or renal replacement), and cardiovascular disease. Results After 30 years of diabetes, the cumulative incidences of proliferative retinopathy, nephropathy, and cardiovascular disease were 50%, 25%, and 14%, respectively, in the DCCT conventional treatment group, and 47%, 17%, and 14%, respectively, in the EDC cohort. The DCCT intensive therapy group had substantially lower cumulative incidences (21%, 9%, and 9%) and fewer than 1% became blind, required kidney replacement, or had an amputation because of diabetes during that time. Conclusion The frequencies of serious complications in patients with T1DM, especially when treated intensively, are lower than that reported historically. We describe the clinical care, metabolic results, and outcomes of the DCCT/EDIC conventional and intensive treatment groups over a diabetes duration of 30 years and compare these results with those of the Pittsburgh Epidemiology of Diabetes Complications (EDC) study,13,19 a more population-based observational study20 with clinical data collected with methods similar to the DCCT and EDIC study during an overlapping period. The results reported are framed over duration of diabetes, rather than in study time, to provide a measure of long-term complications that can be translated into clinical care and communicated to patients as the anticipated outcomes for diabetes at present and in the future. Demographic data and health history were self-reported, and an annual, standardized physical examination measured clinical status. Body mass index, calculated as weight in kilograms divided by height in meters squared, was measured every 3 months during the DCCT and yearly during the EDIC study. All laboratory measurements were performed at the DCCT/EDIC Central Biochemistry Laboratory at the University of Minnesota, Minneapolis, as previously described.1 Hemoglobin A1c was measured every 3 months during the DCCT and yearly during the EDIC study.1,2 Long-term stability of the HbA1c assay has been described.22 Albumin excretion rate was measured annually during the DCCT and on alternate years during the EDIC study using a timed 4-hour urine collection and expressed as milligrams per 24 hours.1,2 Serum lipid levels were measured using conventional enzymatic methods from fasting serum samples yearly during the DCCT and on alternative years during the EDIC study. The severe hypoglycemic events reported herein are limited to those leading to coma and/or seizure. During the DCCT quarterly visits, study coordinators asked about the occurrence of hypoglycemia since the previous visit. During the EDIC study, the severe hypoglycemic events that occurred in the 3 months prior to the annual visit were documented on the annual history form, and further details surrounding these events were recorded. Comparable recording of metabolic outcomes was not available in the EDC study. The primary diabetes complications reported in this article are retinopathy, nephropathy, and cardiovascular disease (CVD). For the present analyses, the levels of retinopathy included those that are clinically most important, ie, proliferative diabetic retinopathy or worse, clinically significant macular edema (CSME), photocoagulation therapy (focal or scatter), and blindness. Patients who received pan-retinal scatter photocoagulation (laser) therapy in either eye were counted as having the most severe level of retinopathy thereafter, and patients who received focal photocoagulation for macular edema were counted as having CSME thereafter. Nephropathy was defined as an AER of 300 mg/24 h or higher, a serum creatinine level of 2 mg/dL or higher (to convert to micromoles per liter, multiply by 88.4), or dialysis or renal transplant. A CVD event, as described in previous publications, was any of the following events: nonfatal myocardial infarction or stroke, death judged to be secondary to CVD, subclinical myocardial infarction, angina confirmed by ischemic changes with exercise tolerance testing or by clinically significant obstruction on coronary angiography, or revascularization with angioplasty or coronary artery bypass.7 Subclinical (“silent”) myocardial infarctions were determined on the annual electrocardiograms. Neuropathy was not included in these analyses primarily because the methods used in the DCCT/EDIC and EDC studies were not comparable. We, however, do report the occurrence of amputations as a measure of severe consequence of neuropathy. The EDC study is an observational study of T1DM and its complications that has collected data on patients who received a diagnosis, or who were seen within 1 year of diagnosis, at the Children's Hospital of Pittsburgh, Pittsburgh, Pennsylvania, between 1950 and 1980.19,20,25 Despite being clinic based, this population has been shown to be representative of the T1DM population of Allegheny County, Pennsylvania.19 It was selected for comparison with the DCCT/EDIC cohort since it is contemporaneous and has used methods that are similar to those used in the DCCT/EDIC. A subset of the EDC population (n = 161) that was similar to the DCCT cohort (age at baseline, 13-39 years; diabetes duration <15 years; and retinopathy grade <30) was selected for these analyses. Clinical characteristics were compared between sexes using Wilcoxon rank sum tests for quantitative variables and χ2 tests for categorical variables.27 The event rates of hypoglycemia and diabetic ketoacidosis are presented as number per 100 patient-years. The cumulative incidence of a CVD, retinopathy, or nephropathy event was estimated by Weibull regression model for interval-censored data.28 The Weibull assumption was verified by an empirical survival estimation for interval-censored data. The DCCT/EDIC cohort had been followed up continuously for a mean of 18.5 years as of their 12th annual EDIC visit that took place between 2004 and 2005. Their baseline characteristics, collected between 1983 and 1989 and listed separately for the groups assigned to conventional and intensive therapy, are given in Table 1. There were no significant differences in the baseline characteristics for the 92% of the original cohort who were followed up at EDIC year 12 compared with the total cohort (data not shown). The mean (SD) diabetes duration for the entire cohort (no difference between intensive and conventional therapy at the DCCT baseline) at baseline was 5.6 (4.2) years (range, 1-15 years); at EDIC year 12, the mean (SD) diabetes duration was 24.3 (4.9) years (range, 17-37 years). Mortality accounted for the majority of the subjects lost to follow-up, with 53 having died. The baseline characteristics for the EDC cohort (n = 161) are also given in Table 1. They differed from the DCCT/EDIC cohort by having a slightly longer diabetes duration (approximately 5 years), despite a lower mean age (approximately 6 years). Treatment of the DCCT/EDIC conventional and intensive treatment groups is summarized in Table 2. The differences in therapy between the treatment groups during the DCCT reflect the protocol-directed interventions; during the DCCT, both treatment groups were highly adherent to their assigned therapies, with 97% of DCCT study time spent on assigned therapy. After the end of the DCCT, the care of all subjects was returned to their own physicians, and intensive therapy was recommended for all. During the post-DCCT/EDIC follow-up, the original conventional treatment group differed from the original intensive treatment group only with regard to a somewhat lower use of insulin pumps. The EDC population also had a change in interventions over time that followed, with a 2- to 4-year time lag, the changes in interventions of the DCCT conventional treatment group, suggesting that the clinical trial evidence generated by the DCCT was adopted and translated in the T1DM population in the United States over time (Table 2). The distribution of HbA1c values over time in the DCCT/EDIC conventional and intensive treatment groups reflects the different study goals during the DCCT and subsequently the universal recommendation for intensive therapy during the EDIC follow-up (Figure 1A). The HbA1c values over time also presumably reflect the change in the intensity of diabetes care from the clinical trial period, when a dedicated team of physicians, nurses, dietitians, and behaviorists provided frequent oversight of the patients and all care and diabetes equipment and supplies were given free of charge, to the post-DCCT follow-up, when all care was returned to the patients' own physicians and only a modest number of monitoring strips and limited amount of insulin were given to the patients. The mean HbA1c value in the conventional treatment group was 9.1% averaged over the entire DCCT period, with only 4.3% with HbA1c values of 7% or lower. During the EDIC follow-up, the mean HbA1c fell to approximately 8%, with 13.1% with HbA1c values of 7% or lower. In the intensive treatment group, mean HbA1c values were 7.1% averaged over the 6.5 years of DCCT, and 44.3% had mean HbA1c values of 7% or lower. During the EDIC follow-up, the HbA1c values in the intensive treatment group ranged from 7.8% to 8.1%, such that the mean HbA1c levels were not significantly different from those in the conventional treatment group over the 12 years of EDIC follow-up. During the EDIC study, 18.8% of the intensive treatment group maintained an HbA1c level of 7.0% or lower. The HbA1c levels in the EDC cohort over time resemble the values in the conventional treatment group, with mean values of 9.0% to 9.3% (median values, 8.7%-9.0%) until approximately EDC year 8 (1994-1996), when the means and medians fell by approximately 0.5 HbA1c percentage points (Figure 1B). The percentage of the EDC cohort with an HbA1c of 7% or lower during the most recent visit was 16.8%. The development of complications for the DCCT/EDIC intensive and conventional treatment cohorts and the EDC study, based on duration of diabetes, are shown in Figure 2. After a diabetes duration of 30 years, the cumulative incidences of proliferative retinopathy, nephropathy, and CVD, defined in the “Methods” section, were 50%, 25%, and 14%, respectively, in the DCCT/EDIC conventional treatment group, which was similar to the EDC cohort with 47%, 17%, and 14% cumulative incidences, respectively. By contrast, the DCCT intensive treatment had cumulative incidences of 21%, 9%, and 9% for proliferative retinopathy, nephropathy, and CVD, respectively, reflecting the powerful effect of intensive therapy over time. Other complications of clinical importance are given in Table 3 by DCCT treatment group. Of note, only 5 of 1441 DCCT participants had a loss in visual acuity worse than 20/100 in either eye (from diabetic retinopathy in 1 conventional and 1 intensive treatment subject and from nondiabetic causes in 3 intensive treatment group subjects), and only 3 subjects ever became legally blind in both eyes. Only 36 subjects (26 from the conventional and 10 from the intensive treatment group) developed renal insufficiency, including those with a serum creatinine level of 2.0 mg/dL or higher or receiving renal replacement therapy with dialysis or transplantation (n = 18 [14 conventional and 4 intensive treatment group subjects]). Fifteen persons (8 conventional and 7 intensive treatment group subjects) had amputations (1 below the knee and the remainder were all toes). In the EDC study, 2 persons (1%) developed vision loss in both eyes, 3 (2%) developed renal insufficiency, and 3 (2%) had amputations. The adverse consequences of diabetes therapy, including the annual incidence of severe hypoglycemia resulting in loss of consciousness or seizure, which is recognized to increase with intensive therapy, and of diabetic ketoacidosis are given in Table 4. The mean weight of the subjects increased over time (Table 1), with intensive therapy having an association with increasing prevalence of obesity (body mass index ≥30), from 1% of subjects at the DCCT baseline (secondary to eligibility criteria) to 31% at EDIC year 12. Four recent reports have suggested substantial improvements in the rate of complications in T1DM; however, these data are based on single hospital experiences and have not consistently shown improvements in all complications.13-16 The long-term clinical outcome results in the DCCT conventional treatment group, confirmed by the EDC study data, provide a reliable sense of the clinical course that can be expected with modern-day therapy during the past 25 years. With the demonstration by the DCCT in 1993 of the beneficial effects of intensive therapy, largely attributable to the lowering of the level of chronic glycemia, intensive therapy has been universally recommended. While the adoption of intensive treatment by the DCCT conventional treatment group during the EDIC observational follow-up may, arguably, not be representative of the general T1DM population, the similarity in metabolic control and outcomes with the more population-based EDC population supports the generalizability of these data. The decrease in HbA1c levels over time in the DCCT conventional treatment and EDC groups (Table 1), in concert with the reported increase in use of insulin pumps and multiple daily injections (Table 2), are the most objective evidence that intensive treatments have been adopted and are succeeding. The development of complications over a diabetes duration of 30 years reported herein support a long-term outcome of T1DM that is improved compared with the results reported in cohorts with the onset of diabetes in the 1950s to 1970s.14,15,29,30 Different methods of ascertaining and defining long-term complications may make such historical comparisons problematic; however, the 30% and 12% cumulative incidences of proliferative retinopathy and nephropathy, respectively, in the DCCT/EDIC study after a diabetes duration of 25 years (the period selected to match older literature) (Figure 2A and B) are lower than the 40% to 53% cumulative incidences of proliferative retinopathy14,15,29 and the approximately 35% cumulative incidence of nephropathy14 in studies of cohorts that developed their diabetes 10 to 20 years prior to that of subjects in the DCCT and that used comparable study methods and definitions. The absolute rates of functional impairment, such as loss of vision, renal failure requiring replacement therapy, CVD events, and amputations, are also difficult to compare with historical data; nevertheless, the absolute risks of such events in the DCCT/EDIC study are low, with only 3 of 1441 subjects having become legally blind (20/200 or worse in both eyes) and 18 subjects requiring renal replacement therapy, after a mean diabetes duration of 25 years (Table 3). The 30-year cumulative incidences of renal replacement in the DCCT/EDIC conventional (4%) and intensive treatment (1%) groups compare favorably with the 8% recently reported in all Finnish patients who received a diagnosis between 1965 and 1999.16 Of course, other interventions, such as more attentive surveillance and more aggressive application of blood pressure and lipid control and laser therapy, may also have contributed to the improved outcomes presented herein. The increased use of aspirin, angiotensin-converting enzyme inhibitors, and statins, some of which were not available or widely recommended during the DCCT period, have clearly increased during the last decade (Table 1). However, the increased frequency of overweight and obesity, first seen in the intensive DCCT treatment group but subsequently in the total cohort and paralleling the epidemic of obesity in the nondiabetic population, may have had a negative impact on the long-term outcomes, especially CVD. Overall, the prospects for patients with T1DM are far better than they were in the past. 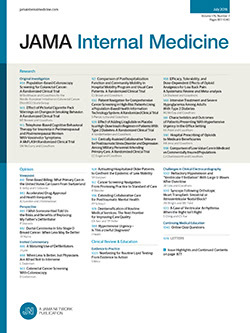 The future of T1DM care will need to address improved implementation of intensive care to reduce patient burden and the risk of hypoglycemia; however, until prevention or cures are developed, intensive therapy must be implemented universally and as early as is practical and safe to ensure the health of persons with T1DM. Correspondence: David M. Nathan, MD, Massachusetts General Hospital Diabetes Center, 50 Staniford St, Ste 340, Boston, MA 02114-2698 (dnathan@partners.org). Accepted for Publication: April 4, 2009. Author Contributions: Dr Orchard takes responsibility for the contents of this article. Study concept and design: Nathan, Zinman, Cleary, Genuth, and Orchard. Acquisition of data: Nathan, Zinman, Cleary, Backlund, Genuth, and Orchard. Analysis and interpretation of data: Nathan, Zinman, Cleary, Backlund, Genuth, Miller, and Orchard. Drafting of the manuscript: Nathan, Zinman, Backlund, Genuth, and Miller. Critical revision of the manuscript for important intellectual content: Nathan, Zinman, Cleary, Backlund, Genuth, and Orchard. Statistical analysis: Cleary, Backlund, and Miller. Obtained funding: Zinman, Cleary, and Orchard. Administrative, technical, and material support: Zinman, Cleary, Genuth, and Orchard. Study supervision: Nathan, Zinman, Cleary, and Orchard. Funding/Support: The DCCT/EDIC project is supported by contracts with the Division of Diabetes, Endocrinology, and Metabolic Diseases of the National Institute of Diabetes and Digestive and Kidney Diseases; the National Eye Institute; the National Institute of Neurological Disorders and Stroke; the General Clinical Research Centers Program; and the Clinical and Translation Science Centers Program, National Center for Research Resources; and by Genentech through a Cooperative Research and Development Agreement with the National Institute of Diabetes and Digestive and Kidney Diseases. Contributors of free or discounted supplies and/or equipment include Lifescan, Roche, Aventis, Eli Lilly, OmniPod, Can-Am, B-D, Animas, Medtronic, Medtronic Minimed, Bayer (donation one time in 2008), and Omron. The EDC is supported by grant DK 034818 from the National Institute of Diabetes and Kidney Diseases.